Food Basics wants to make sure they are taking good care of their customers and that’s a smart move on their part with new lowered and locked down prices and a new in-stock policy. Always fresh is the new motto at Food Basics and if you aren’t satisfied they want you to let them know and you will get your money back. Grocery is a big business so if they want the customers they have to make them happy. While shopping last night at Food Basics I also noticed that they have new lowered prices and highlight “more for less” all around the store. What I found interesting was the color choice that they used to show us how they have lowered the prices on the products in-store. If you look carefully you will see that the new locked down tags are a red tag. If you are a coupon fanatic or a deals guru like we have been and still are (although not so much couponing these days) your brain will immediately think “sale” or “reduced product” because those are the colors used by many other stores. In this case it is. If you head to a PC store such as RCSS or Zehrs you will notice they have the pink stickers and everyone knows that they mean 50% off and in some cases less but for the most part it’s a super deal. If they turned around and did the same thing as Food Basics and used pink to highlight “more for less” or “locked down” prices your brain would automatically think, “amazing deal” and potentially you might spend more. That’s they way I felt when I started to see all these red tags with lowered prices all around Food Basics. To be honest they were a bit distracting to me because it kept me thinking there were rock bottom deals all over the store and my eyes just kept staring at them. I guess it’s a win-win for the store because they had my attention and focus that’s for sure. 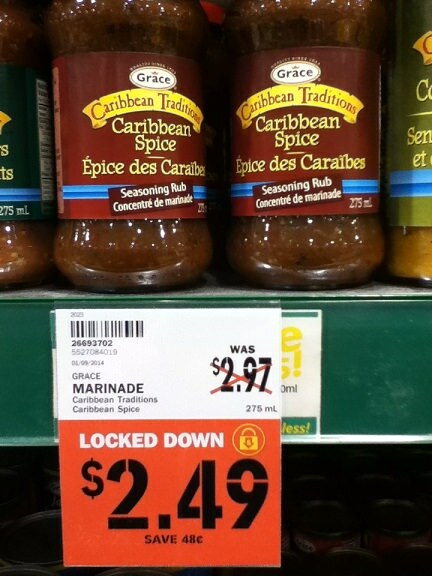 The price is essentially locked down meaning it’s the new regular price and not on sale. Is that how you would look at it? If you are scouring the stores for deals and reduced or blow out products you know the types of mark down stickers and over time they catch your eye. You take note of the colors, the big giant X across a price or the rack with reduced products and make sure you check them out. Don’t forget that in many shops you can ask for a rain check which we have also discussed here at The Grocery Game yet many people tend to forget about that perk which many stores offer. Amazing weekly flyer deals at your local grocery store might mean that the shelves are empty if you don’t get to the sale on time. Not all grocery stores get enough stock in for a super sale and run out which means you are out of luck. Food Basics also has another new policy and for many this is very important including us. We all hate when a store runs out of product when a huge flyer sale happens and Food Basics is going to make sure that we are kept happy customers. They have set out an in-stock policy which I will quote below for us. We will try our hardest to ensure the items advertised in our weekly flyer are always in stock. Bit if one of them isn’t’, we will give you a Raincheck + 10% off the advertised price for your next visit. 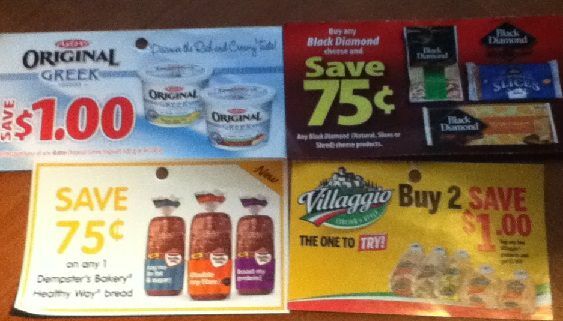 In most cases you might find the seasoned veterans who use coupons and source out deals and even newbies might end up price matching the sales at a store like No Frills, Freshco or even Wal-mart just to ensure they get the sale price, don’t have to go back for a second trip and so they don’t have to battle the masses of customers who want in on the grocery budget savings. I’m a fairly frequent customer at Canadian Tire and we also love to go to Sears looking for deals. I know that if you find a lower price at each of these stores you can price match and they will beat it by 10% which is a great way to keep the customers happy. I can honestly say that I think it’s great that Food Basics has promised us in-stock product, more great deals and locked down prices because in today’s economy not everyone can afford to shop at Sobey’s or Metro with the high prices that we all see. The only reason they get me through the door is for the Air Miles program and the odd flyer specials that I know I can’t get cheaper anywhere else. You’d be a fool to spend more money in your grocery budget than you had to IF you had the opportunity to shop at a store with the exact same product for less. I realize that not everyone has all the shops or might live in a small town with one grocery store but when options are available source out the best deals and save the cash if you can. A bucket of feta at Metro is $17.99 and the exact same bucket at Food Basics is $13.99. I don’t know about you but I work hard for my money and that $4.00 could certainly be put to better use. What do you think of the new Food Basics guarantee to the customers? 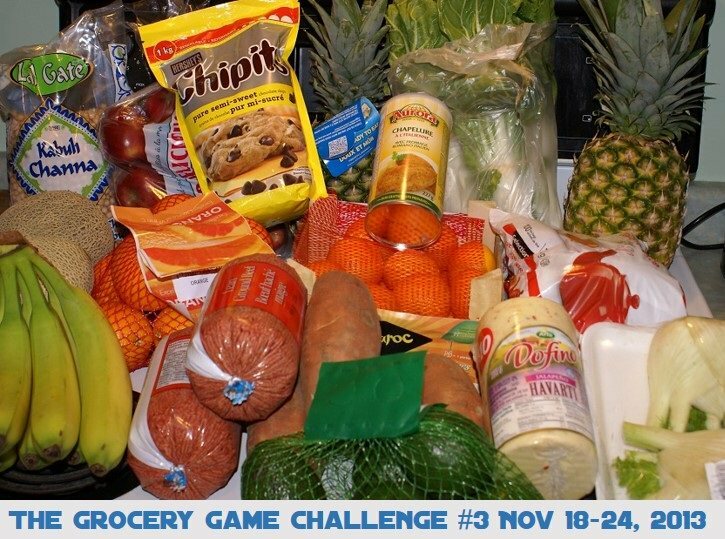 Weekly Overview: We didn’t need much in the way of meat this week so we loaded up on fruits at Metro for a great price and some other odds and sods at Food Basics that was needed in the pantry. We went with some lean ground beef this time so we can mix it up and make some meatballs, lasagna or even a pot of taco soup. We normally use turkey mince but since this was a great deal we opted for beef since it’s been a long while. We are not opposed to certain proteins we just moderate how much we eat and try to get leaner cuts when possible. Well this was another easy shopping week! Didnt need too much so here goes! And i earned 7800 Pc Points! Wow, I can’t believe the cost of the organic milk. How much milk do you normally go through every week? I love those PC Points.. we earned 20,000 points this week for spending $100. You get ballot 5. •Total Gift Cards Given Used this Week: BAH! I forgot AGAIN! But I did redeem Air Miles to get $10 off my purchase at Rexall. •Weekly overview: Not counting my stupid meat order I am on pace to be under budget for the year 🙂 I still forgot my $5 Kellogg’s cards lol. I’ll have to try to figure something out lol. I did well this week but we also haven’t been eating great lately so we haven’t had to buy as much. I took the $100 budgeted for this week and purchased a $100 gift card for Sobeys and received 1000 bonus points!!! It was my plan to do this so I had saved some cash left over from last week and hope that the gift card lasts me a few weeks and was worth the points for us for sure!! I am already planning our discount shop for the first Tuesday of Dec that we will be redeeming some of our points to help get through the holidays and stock up on a few things. If I have remaining money leftover this month I will roll it over into Dec to help with holiday baking, cooking and stockpiling. I did some shopping in the US and I stocked our supplies of ham for the holiday season using a Canadian rain check. I obviously went a little hog wild with treats for the holiday season in our US shops. I have been saving $10 per month for the holiday season so I am going to transfer $71.65 to the US funds so the account is flat. Not only did I use a nice rain check for the holiday ham stock up but I also got a new rain check for Butcher’s Cut thick Sliced Side Bacon at $8.99 a pack! I have a super saver coupon for Butcher’s Cut hams @ $8.49 for this week that I will try to get a rain check on. Where there’s a will, there’s a way! We use a lot of ham so I like to get it at a good price. 12 cans tuna ($0.78 ea) = $9.36 <<< Check this out Juanita! This is 10 cents cheaper than Safeway!!! 6 large cans Chunk Chicken (2.08 ea) = $12.48 <<< one of these cans will make 6 chicken salad sandwiches! 3 Planter Deluxe Mix Nuts (4.99 ea) = $14.97 <<< absolutely no peanuts here! 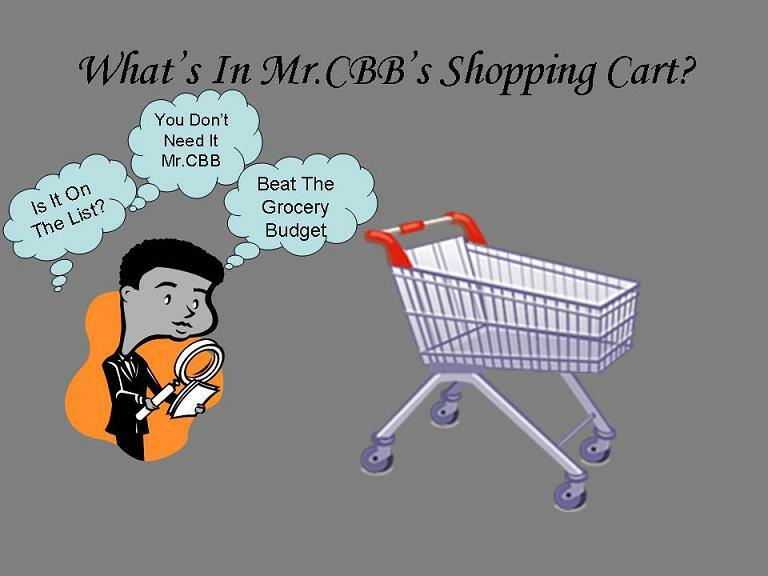 Mr CBB… I can make the current budget work for 2014. 🙂 If need be, we’ll just eat more meatless meals to stay on task. 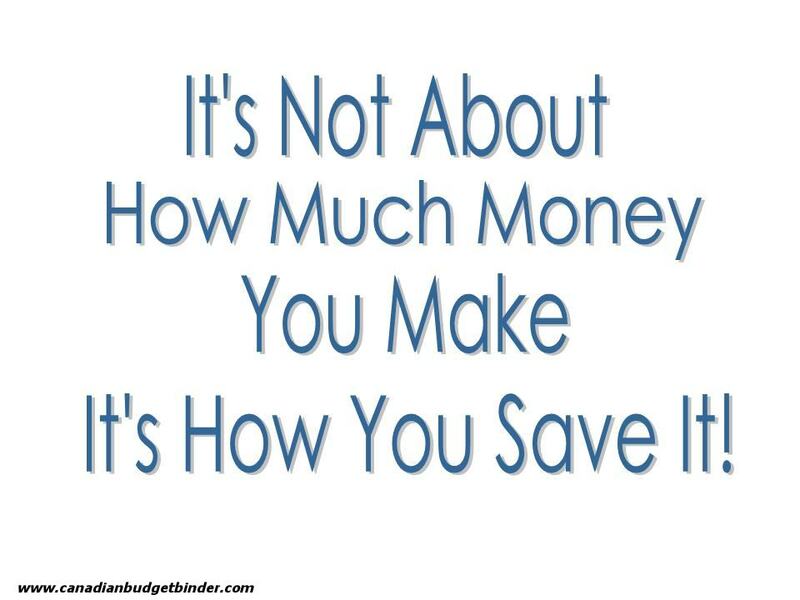 I can stretch the budget a lot further…as I was telling the gals last night on WFD. I was saying that 15 pounds of pinto beans for $15 will feed both of us for 30 meals @ $0.50 per meal. Combine that with some bacon and eggs at the $2.49/lb I see for bacon and $1.33 per dozen eggs… it’s actually easy to go a long, long, way on very little. We have had some great meals this year, I have started a borscht and re-stocking fund and we are still on track with our budget. What more do I want? Things are quiet right now so I think i can get my shops posted now. I went to Foodland for most of my shops but I needed gas for the truck so I went to No Frills as well. I don’t buy gas in town here as it is too expensive here. The price difference is enough to drive out of town so I plan around that. So another week over budget. This seems to happen more often when I go out of town to shop, but the prices at NF are too good. I had to get the smaller boxes of teabags at Foodland at the higher price as I was almost out. I’m hoping to get to NF again to get another box at the lower price well before I get that low again. The chicken breasts were a good price and the NF price for the ground beef was very good as I bought the family size pack and split it into smaller packs at home. There were a good number of meals in that pack!! The body wash and hair products were needed so I tried to get a decent price for all of it with the coupons. This weeks prices are better but I had no way to know that one. Because my trips to Foodland were on the small side I only got one turkey buck. This week doesn’t look much better in that regard as I am going to try very hard to stay under for the month and I only have $79.00 left to spend…..it will be hard but I intend to try. I’m jealous of the massive bag of chocolate chips! I always admire the deals you score Mr CBB! I love to stock up on items that don’t go bad when they are on sale! It’s a great way to save money and not have to worry about the expiration date. We shall have to see how things go with Food Basics and the new policy. I’ve heard they are even price matching but only at a London store. Not sure about any doing that in the GTA. Foodland has done the locked down pricing for a fair while. Usually it runs 4-5 weeks at a time. I didn’t see any mention of how long those prices would hold but that is something to look into.I find the information at Foodland is right on the shelf sticker. This would be something that comes back to knowing your prices as always.What i like about the locked in prices and knowing how long that price will last is the ability to do a slow stock up as i did last month with the cider mix I get every winter for the older boy. I knew the price would hold until Nov. 7 so I picked up one or two when ever I was in there getting groceries. I managed to pick up 8 packages i think. This will save down the road. I go into town for No Frills now occasionally and will tie it to getting gas for the truck as I refuse to get it here in town. The price difference is enough to make it worth the drive. Five cents is an average there but I have seen bigger differences. Besides the price of gas the prices at NF make it worth the trip 2-3 times a month. We still don’t get the flyers from NF but I have found an online source for it as well as many of the out of town places that I can check out of we are going to be in London or the SIL’s place in Guelph. Target has had the soft opening in Stratford as of last week and Walmart is apparently trying very hard to be open before Christmas. Means we should be getting those flyers soon!!! !